Top of the line book-fold jacket with die-cut cover (the piano shape on the left is cut out to reveal the inside cover Broadway image). From the notes: This album, with music created by 25 pianos, including concert grands, baby grands, uprights, spinets, tacks (Ragtime), celestes and even electronic space-age pianos, presented almost insurmountable problems in the making. 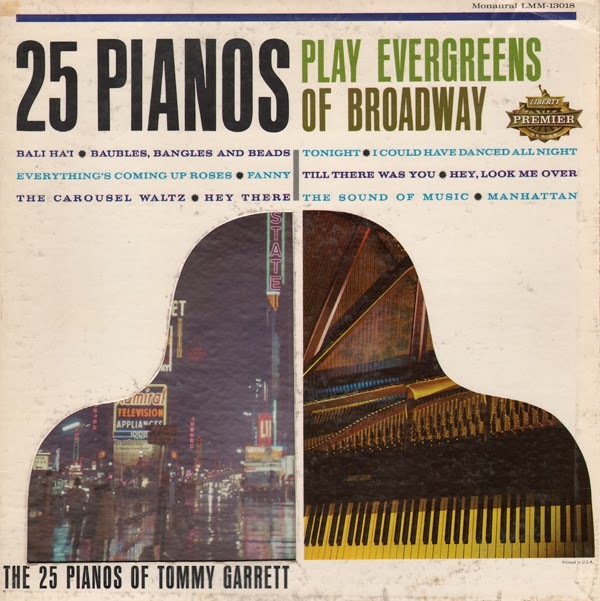 It was recorded over a week-end on three consecutive 16 working-hour days and since the session was a labor of love for the adventuresome pianists involved, many cancelled engagements, leaving Hollywood nightspots strangely silent. Veteran sound technician, Eddie Brackett, followed Tommy Garrett's blueprint for the date, which started with a convoy of 12 piano-laden moving vans arriving in order, and then simultaneous but separate relays of "takes" in three huge adjoining record studios. Ten full hours of brilliant piano-orchestra music resulted. 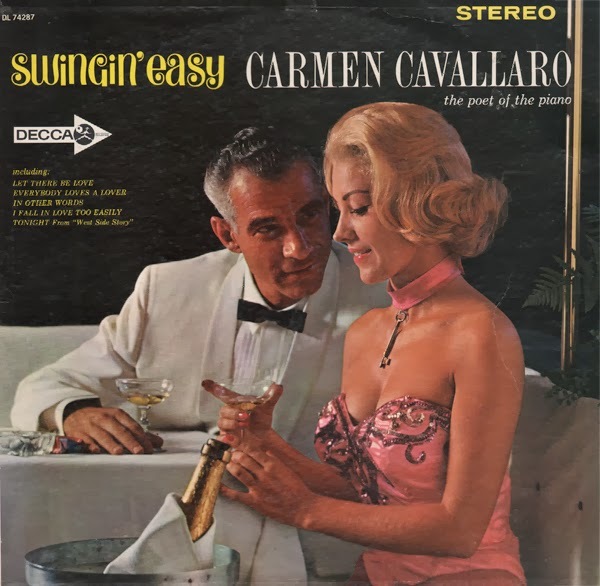 From the back cover: If any one cocktail lounge or supper club were able to secure the full-time, permanent services of Carmen Cavallaro – the internationally acclaimed "Poet Of The Piano" – it would be in a position to save thousands upon thousands in furnishings and decorations. For the extraordinary magic of Mr. Cavallaro's piano artistry could easily invest even a football field with the most romantic of moods. The engineering to me, at first, seemed "simple or unpolished". But when you read in the notes (see below), how the session was recorded, the tunes take on a more intimate and enjoyable "lounge" sound. Good variety of sound from traditional to the cover of Quiet Village. 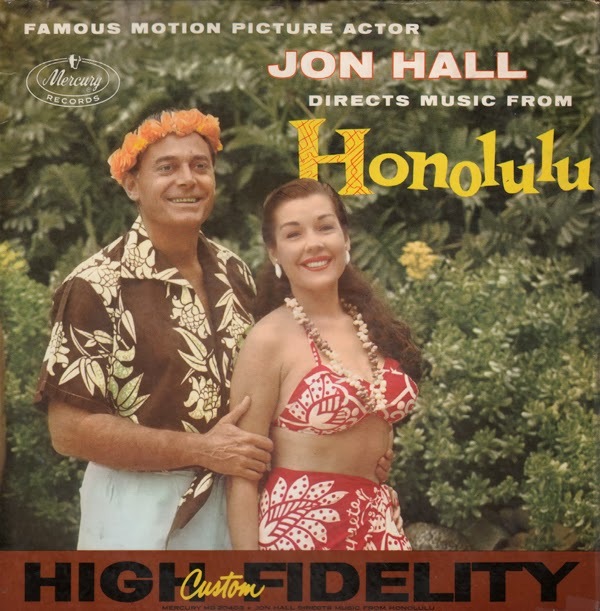 The unusual recording set-up for this album is best described by quoting portions of Movie Actor Jon Hall's account directly: "As I said, the equipment used was an Ampex portable recorder, using two Electro-voice 666 microphones which seemed to work out very satisfactorily. The recordings were made at the bar in the La Haina Hotel without the aid of any sound-proofing or acoustical advantages that we have here. To cut down vibrations noises we had to wedge papers in the windowsills, as the building was approximately 100 years old, plus wedging doors, etc., and seeking out a little varmint called a cricket, of which there were many, and carry them off to some other part of town to carry on their musical choruses. "My mike setups were played in as close to the instruments and the voices as I could possibly get them. The piano and the female voice were picked up on one mike which was a chore in itself, as the piano was a small upright borrowed from a church and was constantly going out of tune, which resulted in my keeping a piano tuner on hand at all times to keep this instrument operating. The bass fiddle had a tremendous split in it which also had to be wedged to avoid strange vibration noises, and part of the drummer's equipment had to be dismantled and put in another room as it seemed to fall apart every time the band started to play. The other microphone picked up the drummer and the bass fiddle, plus their voices simultaneously, and I would say it was approximately two feet away from the voices and instruments. I believe you must realize the problems I had in trying to get any semblance of balance with only two microphones picking up three voices and three instruments all at the same time. On a side note, Jon Hall directed the 1965 cult horror film The Beach Girls and The Monster. He committed suicide after bladder cancer caused his health declined to the point that the pain was unbearable. 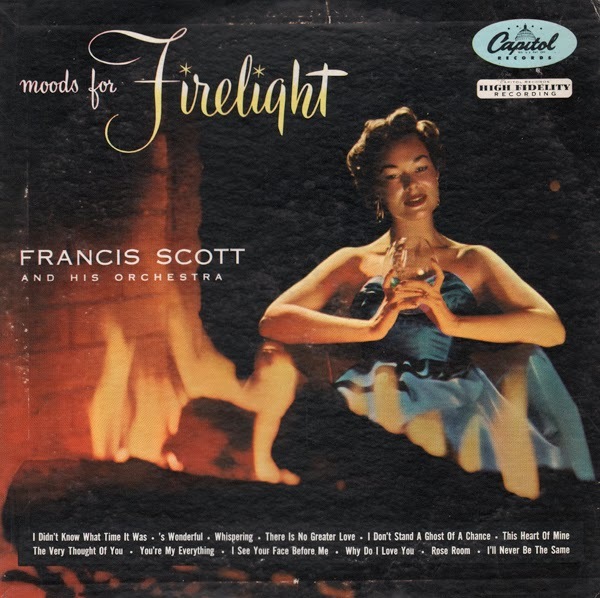 From the back cover: Francis Scott is a brilliant young arranger-conductor who is becoming widely known for his presentations of the best in listening music – a most appealing series of Capitol albums including the best-selling "Moods For Candlelight." He hails from Denver, holds a Master's degree from Stanford, and has pursued his musical career with leading Hollywood orchestras. To help warm things up on this cold 2014 winter day, I've lit a fire in The Atomic Attic. Enjoy Adams' hot torch treatment of Love For Sale. 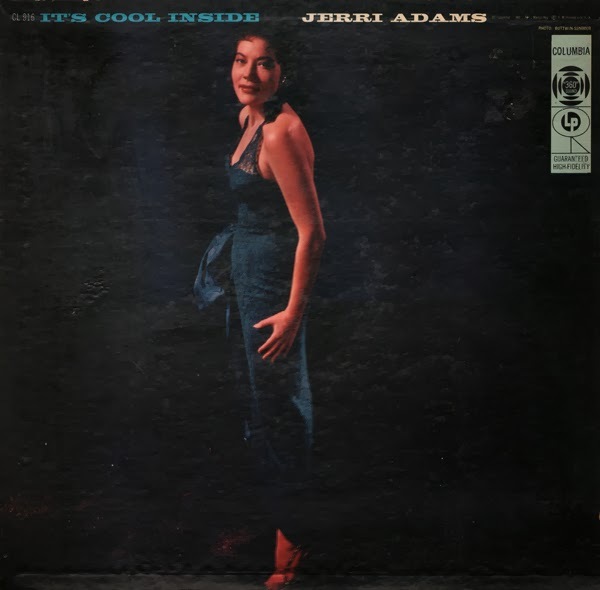 From the back cover: Tall, dark and comely, Jerri Adams was born in Cincinnati on May 30, 1930. Along with her regular schooling, she applied herself industriously to singing, carolling in church choirs, with her high school dance band and at the local USO. After a year at the University of Cincinnati, she left to take up a spot as the featured vocalist with Gardner Benedict's orchestra, touring the country and appearing in most of the major hotels and ballrooms along the way. Later, she left the band to appear with a vocal-instrumental group throughout the midwest, and it was while she was singing with this combination that she was heard by Frankie Lane. The rest, as noted above, is a continuing history, and this collection is a milestone in the rise of a major singing star. 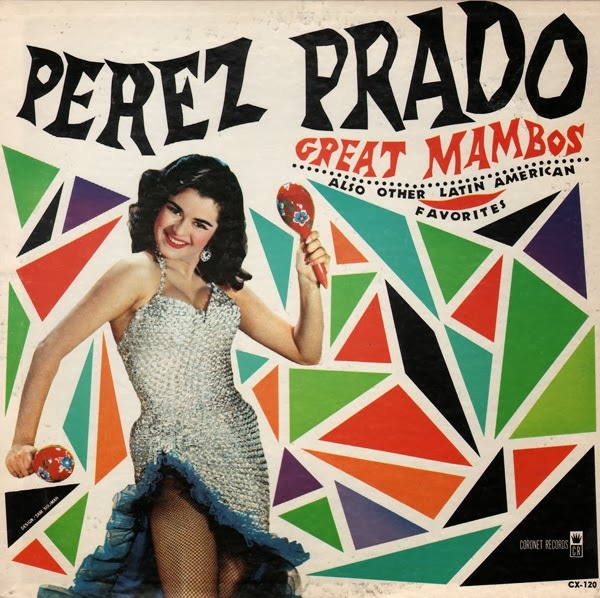 Tracks presented on this album are collected together from other Prado LPs. The tone quality of organ heard on this cover of Guaglione seems different than versions being sold online, the one I found posted on YouTube and one I apparently digitized from another one of his albums. I didn't modify the recording in any way. Did Prado release more than one version?